It’s been on my mind lately that, even in this season of giving, I must always be ready to receive the abundance of the Universe. 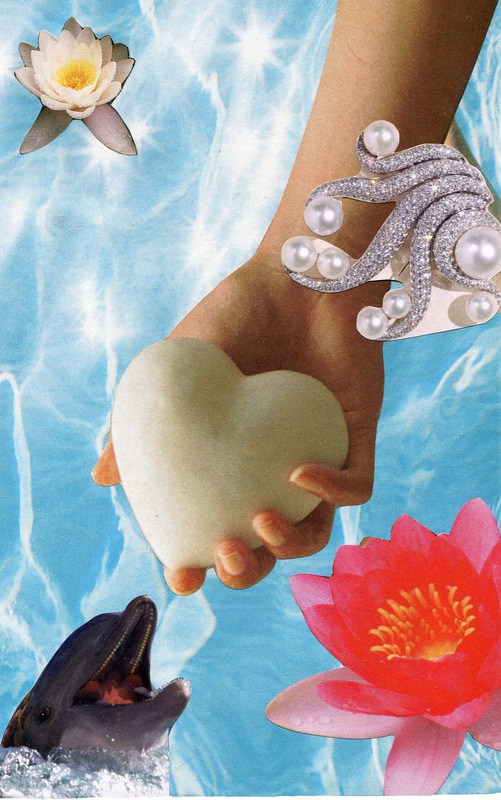 This is the SoulCollage card I made today to represent this concept. 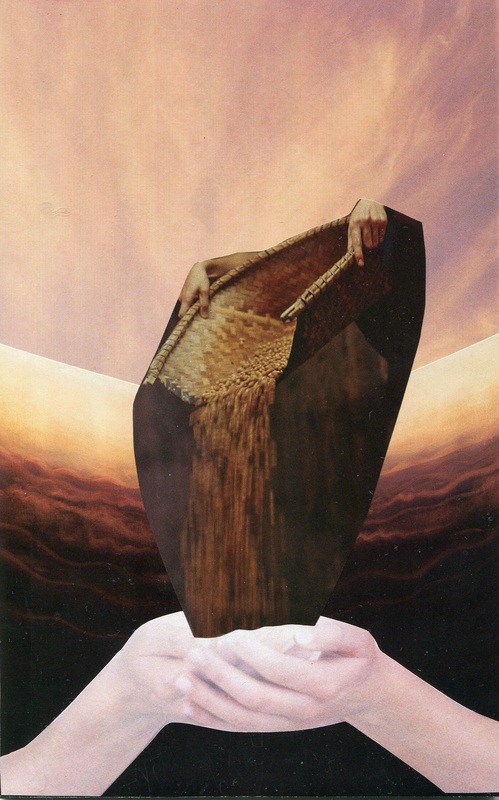 I am a slow artist on any given day, but today I was even slower, as the image of the pouring grain I intended to use to represent abundance was hiding from me. As you can see, I finally found it! May you and I both be ready to receive the abundant blessings that are flowing to us even now. The lovingkindness meditation is a beautiful–and challenging–practice in which you offer lovingkindness first to yourself, and then to others … those who love you unconditionally, your loved ones, beloved pets, acquaintances, strangers, all sentient beings, relatives, and those who annoy you greatly. (These last two categories can overlap. OK, these last two categories do overlap.) I find it especially easy to offer lovingkindness to those who are now on the other side, as they are now even more purely loving than they were when they were here. I’ve found in the past that serious resistance can arise to offering lovingkindness to those who seem to be doing their utmost to make my life difficult, or to those who’ve seemed to do so in the past. That’s why I’ve really enjoyed following Beth Terrence’s May is for Metta, which really eases into the lovingkindness practice, and helps build a strong foundation for it–to get in touch with your loving heart energy before you begin. May I have a calm, clear mind, and a peaceful, loving heart. May I experience love, joy, and wonder in this life just as it is. And today may you experience love, joy, and wonder in this life–just as it is. 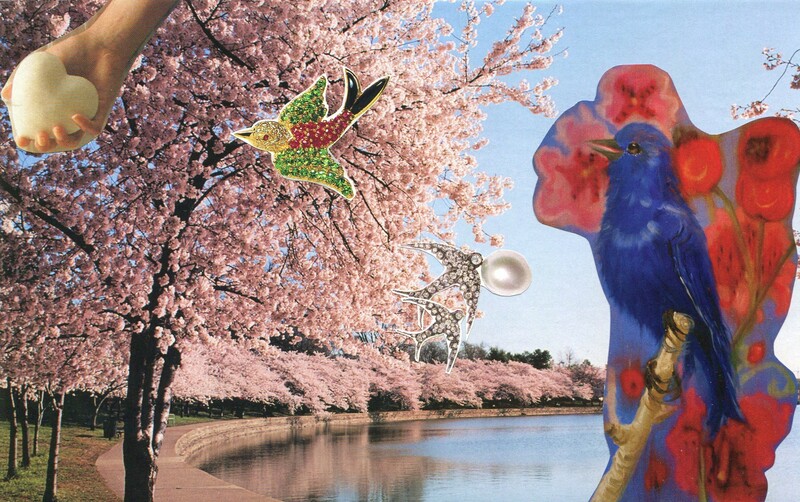 This post is illustrated with the SoulCollage card I made to represent my 4th chakra companion, a joyful bird, and also to celebrate Hope, that thing with feathers. When I opened my new issue of Shambhala Sun yesterday, I found this poem, which is also a prayer, and loved it. I hope you do too. One should sustain this mindfulness. 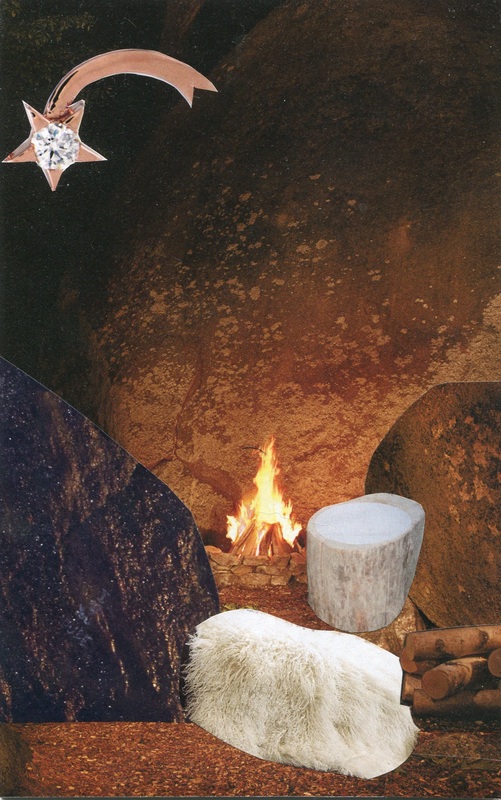 This post is illustrated by my SoulCollage card Bronze Age hearth and home. Holy One, I come to work today, and this is what I offer: Me. Here. In this place. Use this life of mine for a higher cause, a greater good. If this is not a place that is good for me or for the world, then help me to move on from this work. May this be a place of transformation. May I learn the lessons here that I am to learn. May I convey hope or healing to those I encounter today in person, on the phone, or via e-mail. If there is chaos or a problem here today, may I listen deeply, beyond the din of that noise. If there are politics played out, please help me to act wisely. May I keep my ego in check. May I be generous and compassionate.